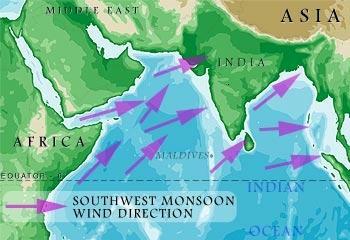 With the end of the south west monsoon season, there is an anticipation of increased illegal maritime activity across the Gulf of Oman, the Red Sea and the Indian Ocean. As a consequence, Combined Task Force (CTF) 150 is fully prepared and ready to respond. The Pakistan Navy led flotilla is a counter terrorism task force based in Bahrain, with warships from six international navies including the US, UK, Australia, Canada, France and Pakistan, operating under the command of Commander Combined Maritime Forces. The deterrence and interception of the smuggling of narcotics and other illegal substances is one of many Maritime Security Operations performed by units within the task force. This sends a powerful message to terrorist organisations that the high seas will not be a freeway for the movement of corrupt capital for terrorist activity. Illegal maritime activity is a constant threat to the free passage of trade and also has potential to influence illegal activities ashore. Historically, during the climate transition from April to August, there is a general reduction in the number of illegal maritime activities and an increase between the months of September and April. This is thought to be largely because of the inclement weather and prevailing adverse sea conditions. CTF 150 works in close coordination with coastal states and regional partners to combine accurate intelligence with careful observation and monitoring. Coupled with the experience and expertise of the operational units involved, this leads to improved maritime security and assists in maintaining stability in the region. CTF 150 is ever present to protect the vital regional maritime interests and international trade routes. The task force will continue to patrol throughout the region, not just through their visual presence, but also by capacity building of the regional nations through key engagement meetings at sea and ashore, to safeguard those mariners who wish to conduct legitimate sea borne activities.